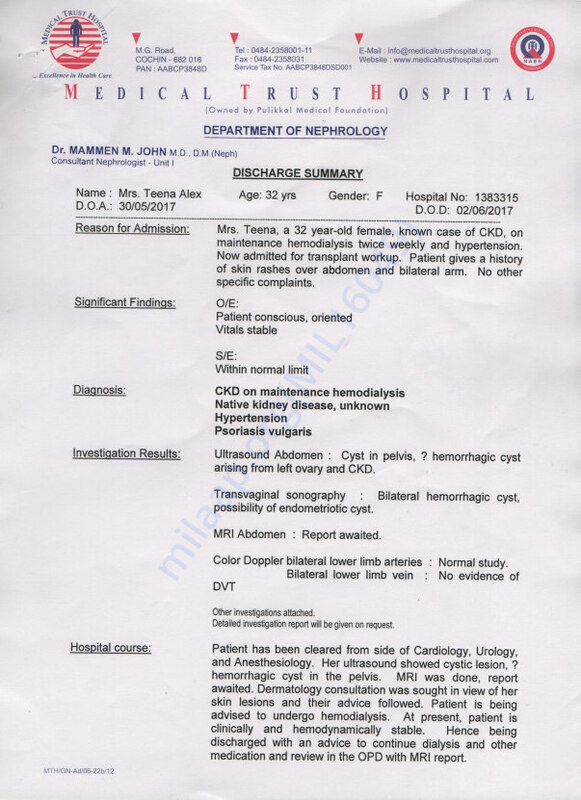 One and a half year ago, doctors diagnosed kidney problem in Teena. She and her husband were working in a private college in Bengaluru. They couldn't afford the hospital expenses and had to return back to their home place in Kottarakara. Both Vivek(38yrs) and Teena(32 yrs) belong to a poor family and cant even dream of making this huge sum for kidney transplantation. 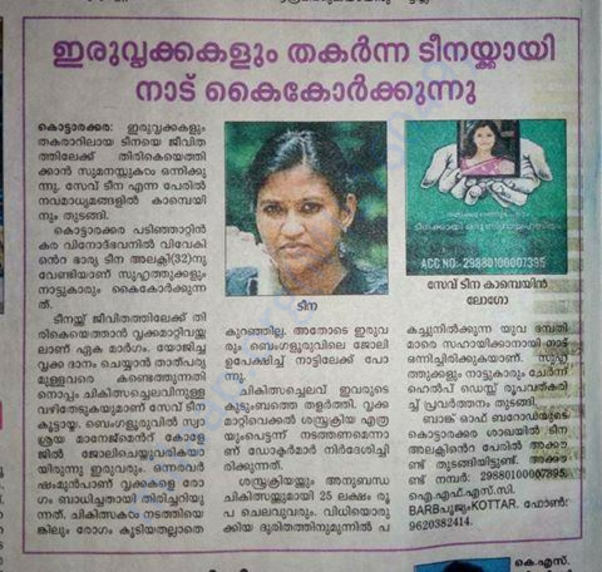 For the last 3 months dialysis has been performed in S N Cooperative hospital in Kollam. A team of doctors from the Medical Trust Hospital, Cochin advised for an immediate kidney transplantation and due to the financial problem, the surgery is getting delayed. 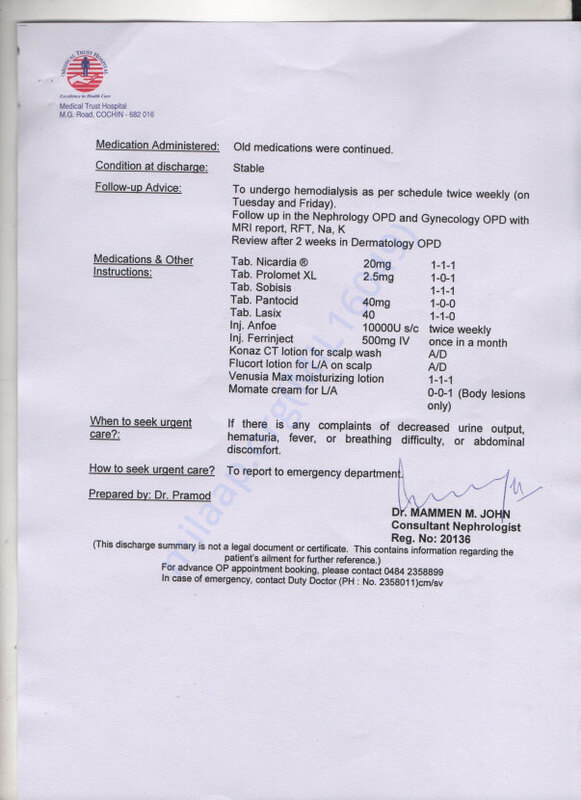 A sum of 25 lakh rupees (approximately) is required for the surgery and related hospital expenses. Now money is the only constraint for saving her life. Even a small delay is dragging her to more critical condition. 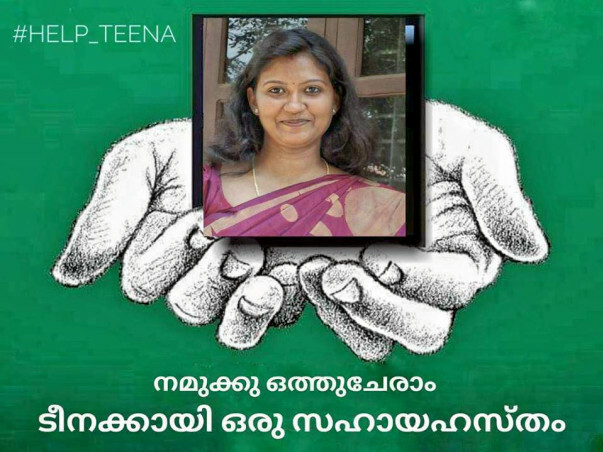 Kindly contribute to save Teena and her Family. May God Bless You. Kindly contact us in case more details are required. Thank you for your prayers and contribution.